“The Describing Gollum resource was designed for a Year 6 class focusing on using quality texts to develop children’s writing tools. The aim was to try and capture some of the style and tools of Tolkien to develop children’s description of character. 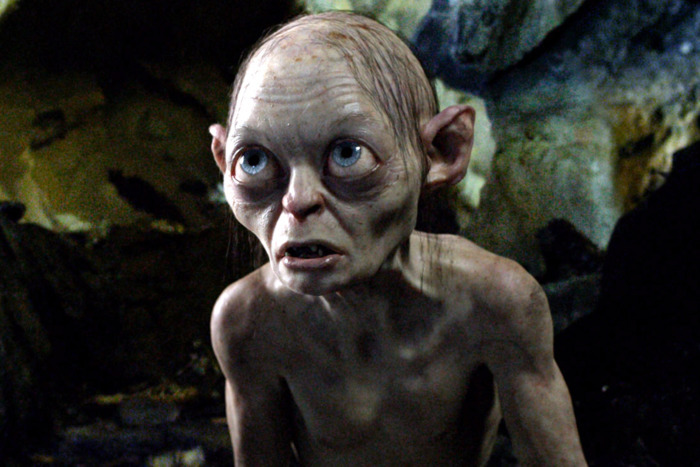 First, we used film and images of Gollum to bank ideas and vocabulary. The teacher and the children then had a go at describing Gollum using the vocabulary generated and the writing tools they had already internalised in previous teaching. The passage from the Hobbit was then used for shared reading. The class discussed the vocabulary and comprehension before the text was closely analysed line-by-line, pulling out the tools that Tolkien used to create his character. The children then returned to their writing and edited and redrafted, using some of the toolkit that the teacher and children had co-constructed. The PowerPoint presentation is meant as a teacher resource with some notes to support the analysis of the text and tools. There are examples of children’s writing before and after the close reading to see the impact.